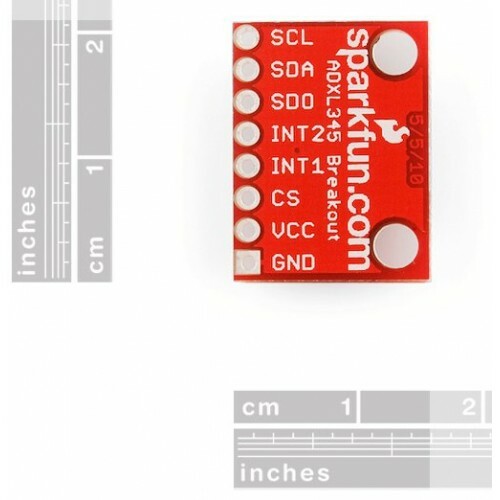 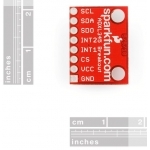 The Triple Axis Accelerometer Breakout - ADXL345 from Sparkfun contains the Analog Device ADXL345 sensor. 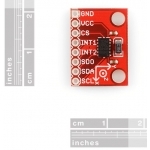 This new version adds 2 standoff holes as well as an extra decoupling capacitor. 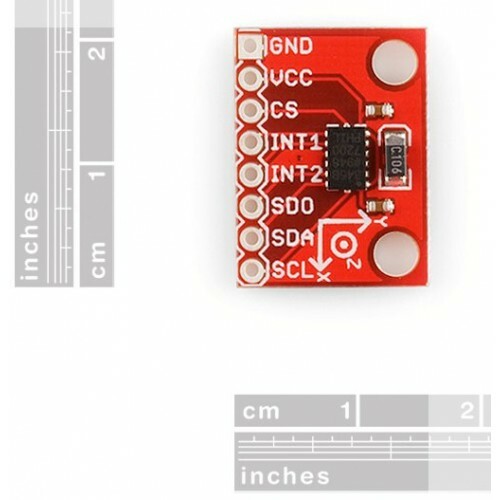 The Triple Axis Accelerometer Breakout ADXL345 is a small, thin, low power, 3-axis mems accelerometer with high resolution (13-bit) measurement at up to ±16 g. Digital output data is formatted as 16-bit twos complement and is accessible through either a SPI (3- or 4-wire) or I2C digital interface. 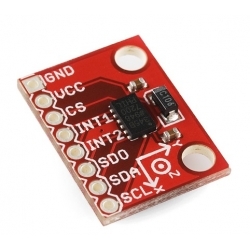 The ADXL345 is well suited to measure the static acceleration of gravity in tilt-sensing applications, as well as dynamic acceleration resulting from motion or shock. The high resolution of the Triple Axis Accelerometer Breakout - ADXL345 (4 mg/LSB) enables measurement of inclination changes less than 1.0°.